Prepare 6 popsicle molds and set aside. Add all ingredients to a highspeed blender and blend until smooth, adding more almond milk or water as needed to break down the mango chunks. 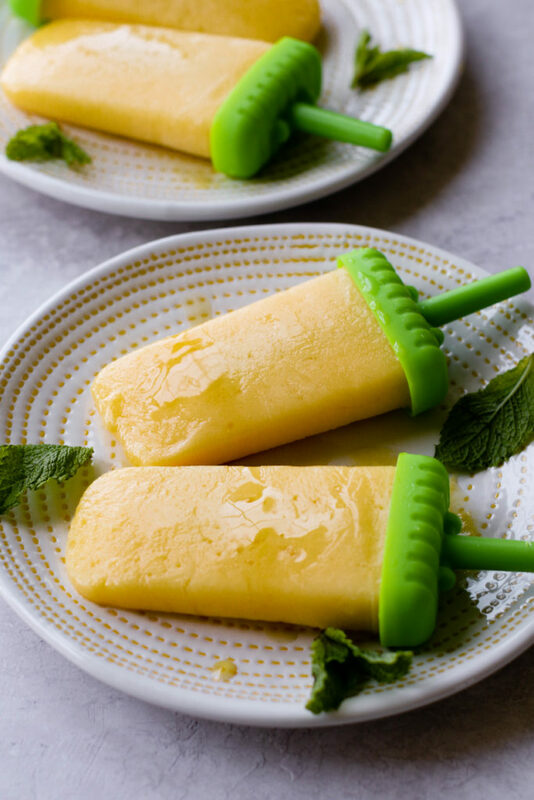 Pour the maple mango mixture into the popsicle molds and carefully cover. Freeze overnight or for at least four hours. To dislodge the popsicle from the mold, run under warm water for ~10 seconds for easier removal. Enjoy immediately with a drizzle of maple syrup!